TUCSON, Ariz. (Jan. 25) — Kyle Wyman Racing (KWR) has announced a move to Ducati machinery for the 2019 MotoAmerica Superbike Championship. Wyman will ride the #33 KWR Ducati Panigale V4R with leadership from trusted crew chief Gary Dean and his shop, Speed Demon Motorcycles. 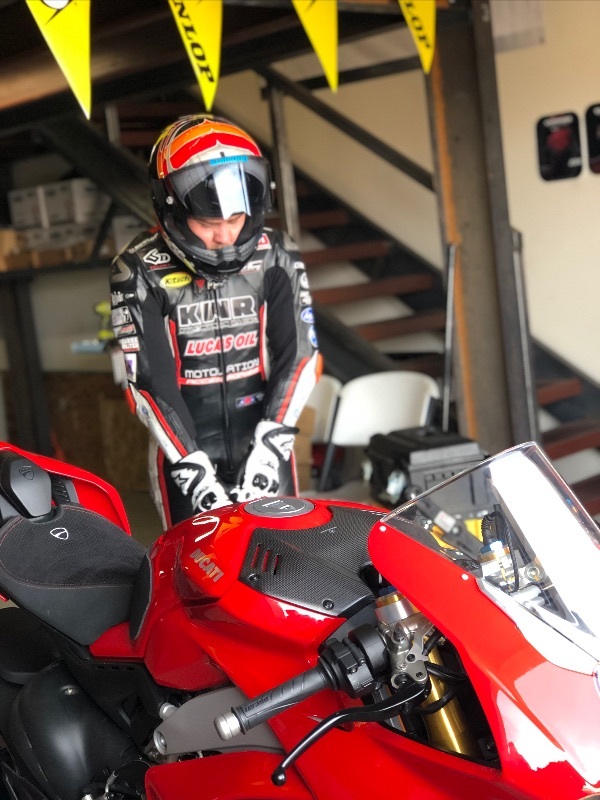 The move to the Panigale is a big change for Wyman and the team, who will be competing in their fourth consecutive season in MotoAmerica’s premier class. Originally approached by the multi-line dealer On Any Moto, based in Tucson, Arizona, Wyman rode the Panigale V4S, the 1100cc version of the V4 platform, out at Inde Motorsports Ranch in early December as a test of Ducati’s incoming production 1000cc superbike. KWR will field the impressive new V4R that is homologated for Superbike competition worldwide.